Dr. Melinda has developed a great reputation as a family dentist. 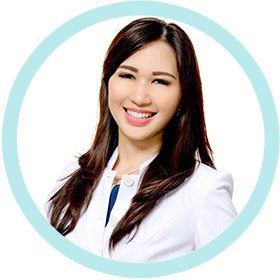 She also very passionate about dentistry and understands the importance of offering quality dental care to both adults and children. She will ensure you receive the highest standards of dental care in a good communication so patient will understand why it’s important and how to maintain oral hygiene. At Dentalign, we specialize in Invisalign treatment for both adults and kids. Invisalign is an invisible way to straighten your teeth without braces. This technique uses a series of clear, removable aligners to gradually straighten teeth, without metal or wires. Invisalign is a clear alternative to traditional braces. At Dentalign, we also specialize in Damon System treatment for all our customers.